Everyone likes sharing the wonderful photos on Facebook, right? Of course we are. But since not everyone has the free time to log in facebook so they don’t know your happiness at the first time. Do you like some characteristic creation for your facebook photo album? Do you want to play a fantastic slideshow for your album with iPhone so you can enjoy the slideshow on HDTV and share the happiness with all of your friends and family ? Now let’s begin the creative project. 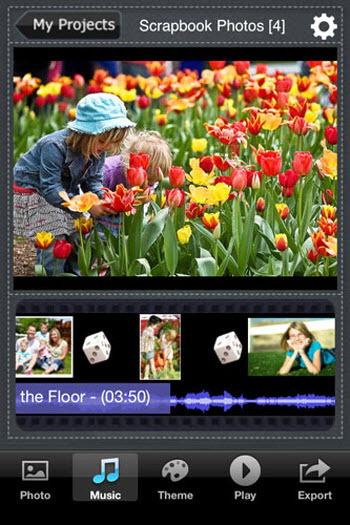 First of all we have to find an iPhone app named Photo Slideshow Director HD ,which can help you easily import photos from Facebook to iPhone then turn your daily snapshots and photos from iPhone into a spectacular animated slideshow. 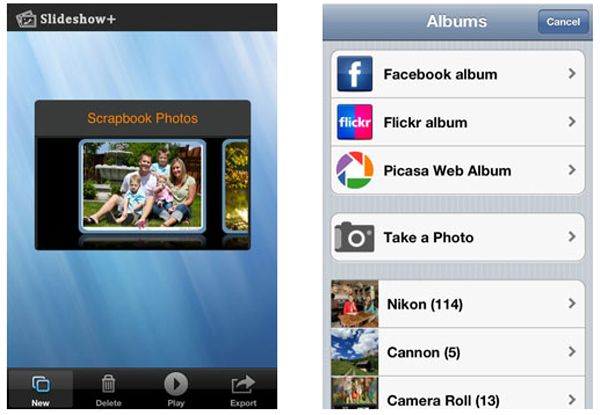 Below is an easy tutorial for you to create a slideshow of facebook photo album on iPhone. 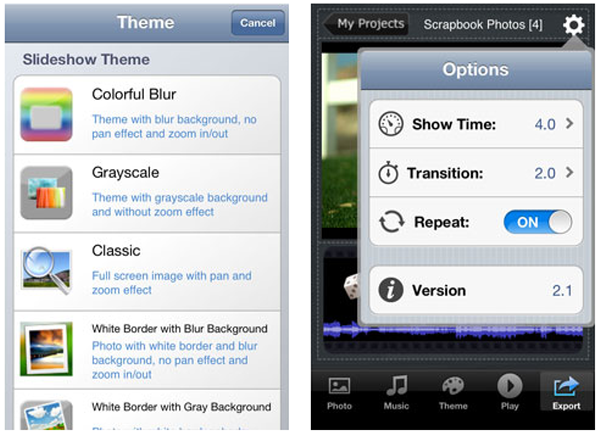 iTunes Store -> App Store -> iPhone -> Photo and Video -> Photo Slideshow Director HD , download it. Step2 Run the program , create a new project , add photos from Facebook album. When you run the program please tap the “new” button to create a new project. Now you can begin your slideshow. Tap the “Photo” button on the lower-left corner of the interface so you will see an album frame ,there you can add photos from Facebook Album ,Flick Album and Picasa Album or the photos folders of your iPhone. Now please choose Facebook Album, fill in your Facebook account then add the photos . Tap the “music” button at the bottom of the interface. Choose your favorite songs from the album-music . Go to the “Theme” tab then you can find some colorful and beautiful themes there. You can also Tap any of the photos to edit it. Meanwhile you can tap the “Setting” tab on the right top of the interface to adjust the transition time for slideshow presentations. Tap the “Export” button on the lower-right corner to HDTV and choose the photo size .Medium , large or HD. It’s so easy to make a slideshow of Facebook photo album on iPhone, right? It’s a happy thing to own an iPhone and if you have learned to make such a slideshow and export to HDTV from iPhone with Photo Slideshow Director HD it will bring you more fun. Every day is a different day with Photo Slideshow Director HD for iPhone.